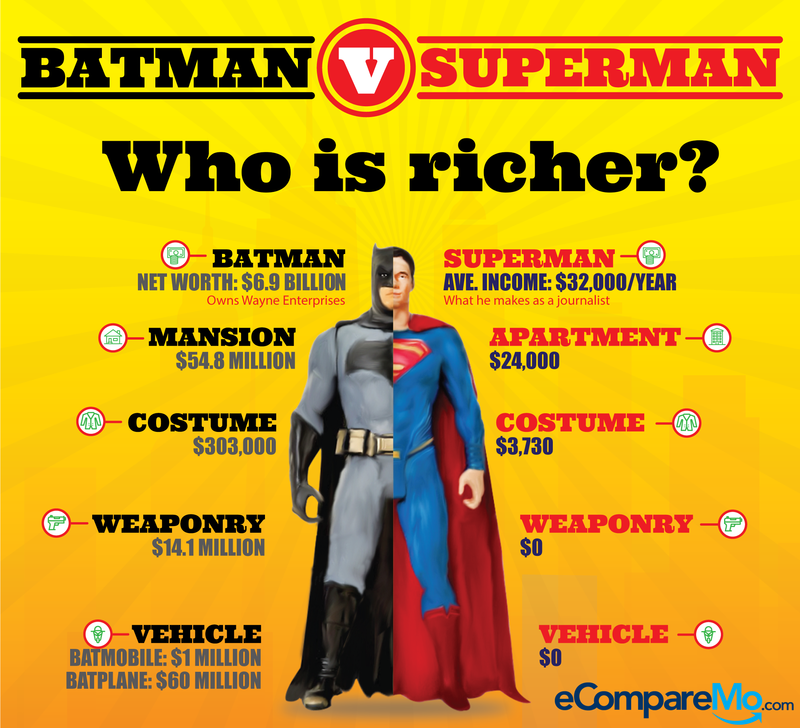 Batman V Superman: Who Is Richer? There’s a clear winner here. Are you rooting for Batman or Superman? For fans of either (or both) DC comic characters, Batman V Superman: Dawn of Justice premieres in theaters today and it’s going to be one hair-raising ride. In the film—the second installment to the DC Extended Universe and a sequel of 2013’s Man of Steel—the two superheroes will face off in a power struggle and try to settle their differences. Both are immensely powerful and it’s hard to say who’ll emerge the winner in the end. But when it comes to material wealth, it’s easy to see who outperforms the other. Check out the infographic below.